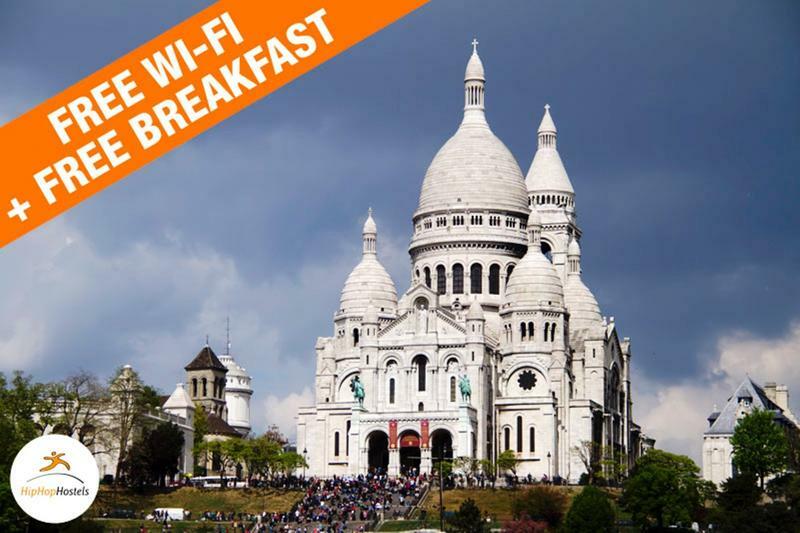 Located in the famed Montmarte district, Le Regent Montmartre Hostel & Budget Hotel is right in front of the SacrÃ©-CÅ“ur and only a short walk to the Moulin Rouge and Pigalle. Le Regent Montmartre Hostel & Budget Hotel is a locally owned and operated hostel that provides several room options with amenities especially designed for modern independent travelers. The friendly staff is ready to assist guests 24/7 to help them get the absolute most out of their stay with us in Paris. Rock â€˜nâ€™ Roll HOSTEL IN PARIS Le Regent Hostel and Budget Hotel in Montmartre is a Rock nâ€™ Roll themed hostel conveniently located in one of the most fun and authentic areas in Paris. Le Regent is within easy walking distance to Gare du Nord, hundreds of bistros, pubs and cafes, and some of Paris's most famous attractions such as SacrÃ©-CÅ“ur, The Moulin Rouge, Pigalle, and many of the most famous music venues in Paris. Le Regent Montmartre Hostel & Budget Hotel is a locally owned and operated hostel that offers single, double, triple, and dorm rooms. No matter if you are an independent traveler, couple, small groups, or families we have someplace for you. Groups of 10 and over may take some doing so please use the group booking form and weâ€™ll see what we can arrange. We are happy to provide Free WiFi throughout the hotel, Free Breakfast, Free luggage storage, laundry facilities, and a kitchen for guests use. This is the main entry port into Paris and includes EuroStar and RER from Charles DE GAULLE Airport. Exit the station at Rue Dunkerque. Take a right; walk to the end of Rue de Dunkerque and make a right and youll quickly find us. Take RER B direct to Gare du Nord and follow directions as above. Take OrlyVAL (its a train) to RER B. Take RER B to Gare du Nord. Exit at Gare du Nord and follow directions as above.